Total ballots cast: 2,854+176=3,030 - A far cry from the 718 cast last election. As you can see from the above, it is the most number of votes cast that counts, per our Town Clerk. 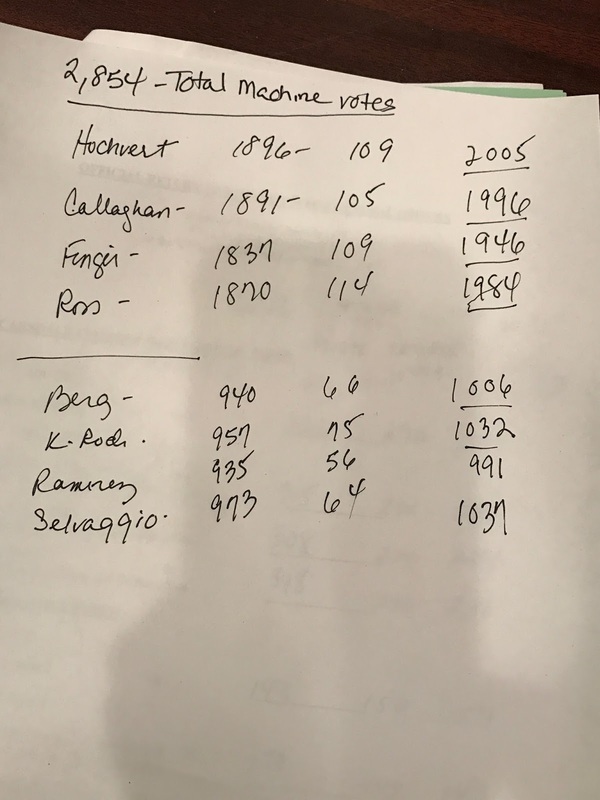 So, if Kirkendall-Rodriguez had gotten more votes than Callaghan's 1996 for example, then he would have won a seat as Trustee. Even though we are told to vote by the slate, I learned we don't have to and many don't. Last revised 2:57 p.m. EDT, Wednesday March 22, 2017.